Written by Michael Ehline on August 27, 2015 . Posted in Law Office Study Program. To close the justice gap, State Bar of California came up with the Civil Justice Strategies Task Force. This particular task force came into being to do proper analyses on what was causing justice gap. It had to perform evaluation of what role the profession of law was playing in coping with this crisis. It also had to get in contact with the organizations and individuals that have been working for closing the gap and see what methods they have applied and which of their methods were successful. It also had to look into the efforts being made in other countries and states on the same matter. After taking all these steps the task force had to document an action plan that would define what would be needed to do in order to overcome the justice gap. Neil Thapar, the attorney of the staff at SELC got in touch with the personnel working on this task force to bring into their notice how Law Office Study Program in California could be improved for closing the justice gap. When asked to put points in the form of comments, SELC officials sent the comments that contained following points. LOSP Should Be Better Known. SELC talked about how invisible the LOSP program. SELC has been in the industry for years and during these years it has recognized that most people have no idea or have never heard about LOSP. They don’t know that apprenticeship is an easy and more practical way of becoming a lawyer. When we look at the statistics we have to agree with the notion of SELC. This is why SELC has recommended State Bar to bring forth information about the program that is more visible to general public and use the platforms that are more easily accessible for people who are interested in becoming lawyers. SELC also gave recommendations on what method should be used to make this information easily available for people including dissemination of information in colleges, paralegal offices, and to lawyers through presentations. Mentors Should Have A Community. Even if there individuals who want to be lawyers, there are not enough mentors who are willing to guide them and let those individuals work with them to learn. SELC mentioned that several individuals who want to be a part of the field of law contact it but their main question is how they can get in touch with a mentor. SELC suggested that a directory be created of mentors that are open for letting interested would-be lawyers work under their supervision. This directory should be made easily available to anyone who wants to be a lawyer. Flexibility With Strict Rules. SELC suggested that some rules in Business and Professions Code are very strict and become an obstacle in letting mentors getting in touch with people interested in apprenticeship. This rule states that if a lawyer or attorney wants to do mentoring it must present records as proof of his continuous working practice for past 5 years. SELC stated that unemployment is at its peak in the field of law and this can cause many attorneys to be out of practice. 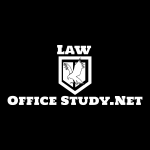 In addition to this, it is quite usual among attorneys to visit other states or opt for some work that is not purely law related. Medical leaves can also become a reason why an attorney might not be in practice for past 5 years continuously. SELC requested that this rule be changed in such a way that an attorney should be allowed to do mentoring of apprentices if their combined experience and practice in California is 5 years. It has been observed that individuals who approach the bar exam through apprenticeship have been behind in the passage rate. It is not a question of who is more able, rather it is about the curriculum that is not suited for them. A curriculum should be introduced that is specifically designed for individuals who want to go forth in the field through apprenticeship. Such curricula should be distributed among not only the apprentices but the attorneys acting as mentors too and the state bar website can be a great platform to host this curricula. 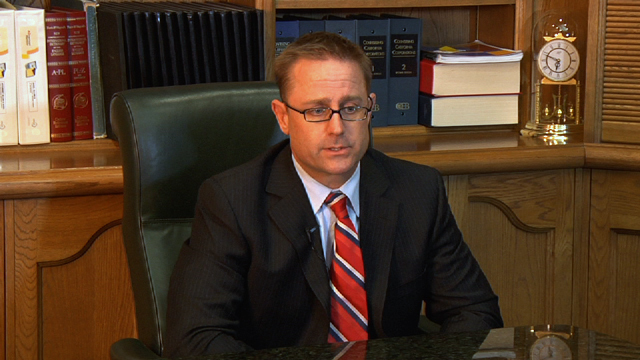 There are many legal organizations within the state that State Bar could help by offering support. These organizations have apprenticeship programs available for individuals and any help to these organizations will be a great help for would-be lawyers. SELC is just one of those organizations and has been helping individuals through apprenticeship for more than 3 years. There are many other organizations that have been working just like SELC, such as Homeless Action Center and United Farm Workers. Many other benefits of such practice were included in the comments sent to the task force. SELC believes that people pursuing career in the field of law through apprenticeship should be happy that the future looks bright for them. President Obama is very happy to help apprenticeship programs across nation so long as he can find a way to tax them, and has declared that he wants the number of apprentices increased by 2020 to a double figure. $1.5 billion have already been dedicated to support any programs that will be working for helping the apprenticeship and other training programs. SELC is aiming at having a registered apprenticeship program for lawyers introduced that will help lawyers become mentors and allow would-be lawyers to easily access mentors. The beginning of this program has taken place in California and will move further from here. Personal Injury lawyer in Los Angeles who helps people become lawyers. Kim Kardashian’s Reading For The Law – Can She Really Pass the Baby Bar?